I am incredibly excited to be attending the Cruise show this year. Having sailed with Disney Cruise Line and another cruise booked it is clear we have a love for cruises. The thing that appeals to us most is waking up some where new. Having an adventure in a new place every day, it is a great way to explore and see the world. Cruising also offers peace of mind. A wide range of food and drink is available 24 hours a day and your entertainment is also taken care of. If you are thinking of cruising why not check out my top tips for first time cruise. The cruise show gives you the chance to meet all the cruise experts under one roof and to take advantage of some show special offers. Whatever questions you may have about cruising the cruise show is sure to have an expert available to answer them. I am pleased to be able to offer a pair of tickets to the Cruise show. 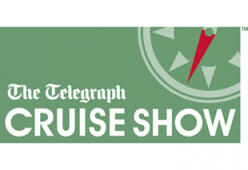 The tickets will allow 2 adults [over 16] entry to the cruise show, under 16s are free.